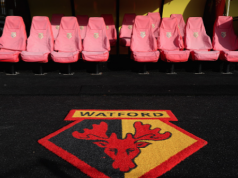 Watford scouts once again had a busy weekend in the North of Portugal. After watching Porto’s match against Moreirense on Friday night, they took a one hour drive to see Feirense face Sporting on Sunday. 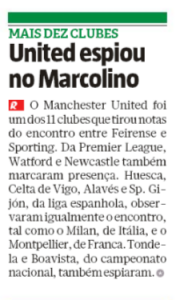 Newspapers Record and O Jogo both report the Hornets’ visit to the Estádio Marcolino de Castro today, although they don’t seem to have an idea of who the emissaries were watching. Sporting’s away win was never in doubt, as by the 68th minute, the Lions were winning 3-0. Feirense later scored a consolation goal, but that was all. 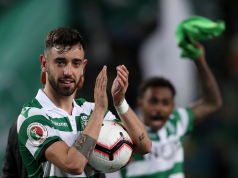 Bruno Fernandes was the man to be watched in this match. The midfielder has once again impressed with the amount of chances created, and scored a brace which guaranteed the result. However, still protected by a €100m release clause, Fernandes continues to be one of the hardest players to take from Portugal, as he’s considered to be Sporting’s current jewel. 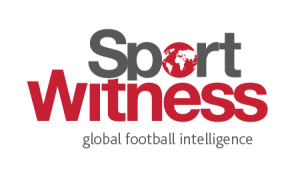 Scouts from Manchester United, Newcastle United, Celta Vigo, Alavés, Sporting Gijón, Milan and Montpellier all attended this match as well.